St Patrick’s Academy Dungannon has said it is experiencing “a time of profound sadness” as the school community comes to terms with “the tragic loss of our much loved and popular pupils Morgan Barnard and Connor Currie”. 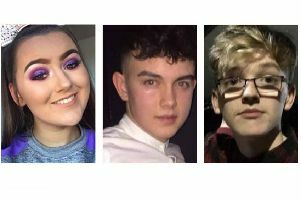 They were two of the three teenagers who died after a crush as they queued for a St Patrick’s Day party at Greenvale Hotel, Cookstown, on Sunday night. St. Patrick's Academy Dungannon has paid tribute to their 'much loved and popular' pupils Morgan Barnard and Connor Currie, who died after a crush in a queue to a St Patrick's Day party on Sunday night at the Greenvale Hotel in Cookstown. In a statement on Facebook, St Patrick’s Academy said Morgan was “an ambitious, charismatic young person with an abundance of potential”. 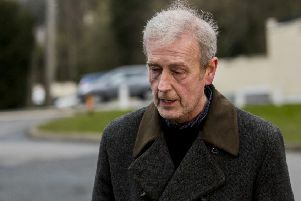 He was studying Maths, Digital Technology, Business Studies and his “absolute passion” was Irish. The school said that Connor was “a kind-hearted, loyal friend” and that he was “always willing to help others” and was courteous, mannerly and compassionate. “He had a great sense of team spirit and his warm, caring nature endeared him to all and earned him much deserved respect. The school said it held a prayer service yesterday afternoon and that the time afterwards was “very important” for those who were close to Connor and Morgan and those who witnessed the events of Sunday night. Time and facilities are available for pupils and staff today from 1.00pm to address any issues, the academy said. “It is best for pupils to come in and talk together, share their experiences and seek guidance and support as they need it. We have our school counsellor available throughout the day and the Critical Incident Team will also be available for pupils over the coming days. “We remember also Lauren and our friends in St Patrick’s College as they too deal with the grief and devastation.